Based on their use, computers are classified into computers for special purpose computers, and general purpose computers. This computer is designed to solve a particular problem, which is usually just one problem. Computer programs are certain and already stored in the computer. This computer can be either a digital computer or an analog computer, and most analog computers are special purpose computers. Special purpose computers are widely developed for automatic control of industrial processes and for military purposes, to solve navigation problems in submarines or aircraft.Once a special purpose computer has been programmed for a specific problem it can not be used for other problems, without any changes made in the computer. This computer is designed to solve a variety of problems, can use a variety of programs to solve different types of problems. 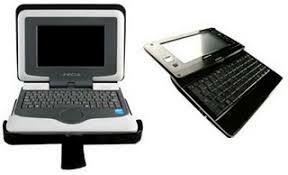 Since this type of computer is not designed for special problems, compared to special purpose computers, the speed is lower.General purpose computers can be used to solve different problems, such as business applications, engineering, education, data processing, games, etc.General purpose computer can be digital computer or analog computer, but generally digital computer is general purpose computer.